The Annual Report 2018 provides information about another active year for the Organization. 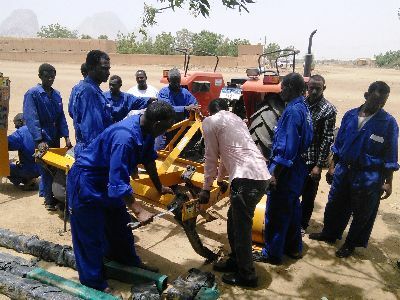 COTONOU, 11 April 2019 – A project implemented since 2015 by UNIDO with funds from the Enhanced Integrated Framework (EIF), has helped boost the competitiveness of Benin's small enterprises by, among others, improving the productivity of enterprises and ensuring products’ compliance with national and international standards. 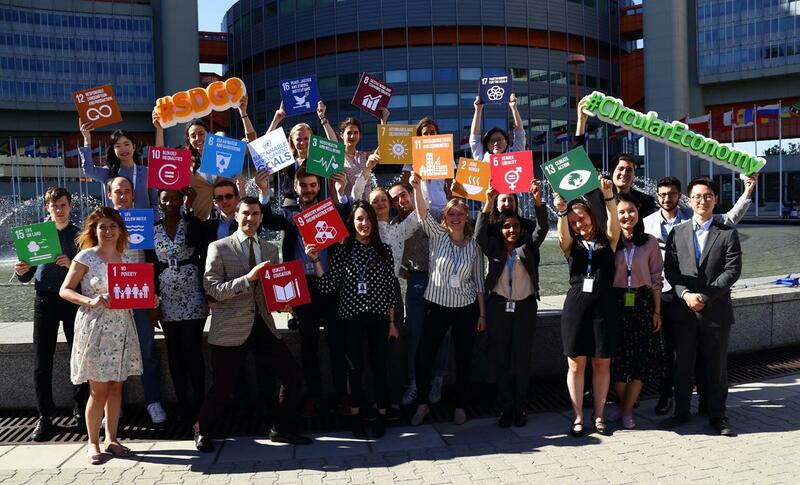 VIENNA, 10 April 2019 – The United Nations Industrial Development Organization (UNIDO), in cooperation with the European Brand Institute (EBI), today held the 15th iconvienna – Brand Global Summit, which was dedicated to exploring the potential of branding as a tool for sustainable development. ULAABAATAR, 8 April 2019 – With twenty per cent of the world’s gold supply produced by artisanal and small-scale miners, urgent action is needed to reduce the environmental impact of the sector, as well as to protect the health and well-being of the millions of men, women and children working in the industry, according to the backers of a new project to reform the artisanal and small-scale mining (ASGM) sector in Mongolia and the Philippines. 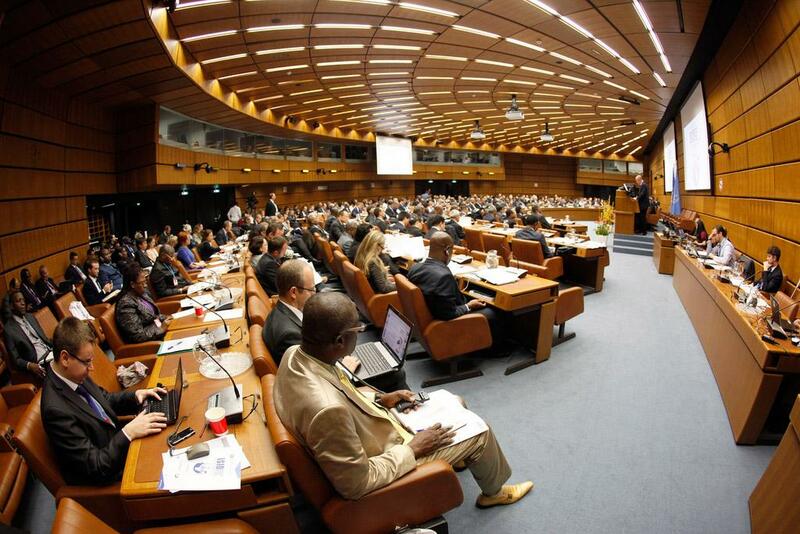 VIENNA, 2 April 2019 - Applied Energy is looking for papers with a focus on methods to measure to what extent countries can industrialize while developing a sustainable energy sector and improving inclusiveness. A special issue of the journal will be guest edited by staff members of the United Nations Industrial Development Organization (UNIDO) and researchers of the Forschungszentrum Jülich (Jülich Research Centre, one of the largest interdisciplinary research centres in Europe). HANNOVER, 2 April 2019 – For the fifth year in a row, the United Nations Industrial Development Organization (UNIDO) maintained high visibility at Hannover Messe - the world’s largest industrial and technology fair. Advancing economic competitiveness and strengthening knowledge and institutions are two of the four pillars of UNIDO, and Hannover Messe serves as an ideal venue for achieving and promoting these objectives: it covers the entire industrial value chain from research and development to complete manufacturing solutions; it is a platform where technology demands, including those of developing countries, meet technology supply. RABAT, 26 March 2019 – UNIDO Director General, LI Yong, has travelled to Morocco to open new avenues for collaboration between UNIDO and the Government of Morocco to promote inclusive and sustainable industrial development. A Programme for Country Partnership has been signed by UNIDO's Li Yong and Morocco's Minister of Industry, Investment, Trade and Digital Economy, H.E. Moulay Hafid Elalamy. SHENZHEN, 26 March 2019 - More than 150 participants took part in GMIS Connect Shenzhen today to gather insights, experiences and knowledge regarding the Fourth Industrial Revolution landscape in China. GMIS Connect Shenzhen featured two expert discussion panels, the first addressing industrial policy, innovation and Industry 4.0, while the latter reflected upon Industry 4.0 as an enabler for achieving the circular economy. 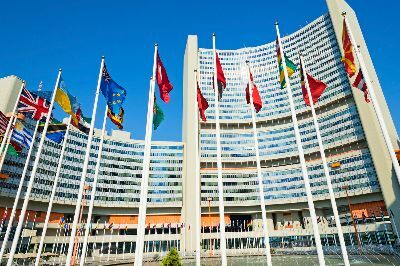 VIENNA, 25 March 2019 – An exhibition highlighting cooperation between Japan and the United Nations Industrial Development Organization (UNIDO) for African industrial development has opened at the Vienna International Centre. The exhibition showcases UNIDO and Japan cooperation on the Tokyo International Conference on African Development (TICAD) first held in October 1993, and on the implementation of the Third Industrial Development Decade for Africa. SAN JOSE, 22 March 2019 – Over 30 representatives of 13 Latin American countries and international experts have gathered to learn and share experiences on e-waste management, from system design to health impacts. The second Expert Meeting on the Effective Management and Disposal of E-waste in Latin America under the Stockholm Convention on Persistent Organic Pollutants was convened by UNIDO, in cooperation with the Ministry of Health of Costa Rica and with co-financing from the Global Environment Facility. UNIDO's Open Data Platform is a transparency initiative, which provides details on all ongoing programmes and projects.